A magnificent clear crystal award, perfect for recognising or rewarding the peak of achievement. 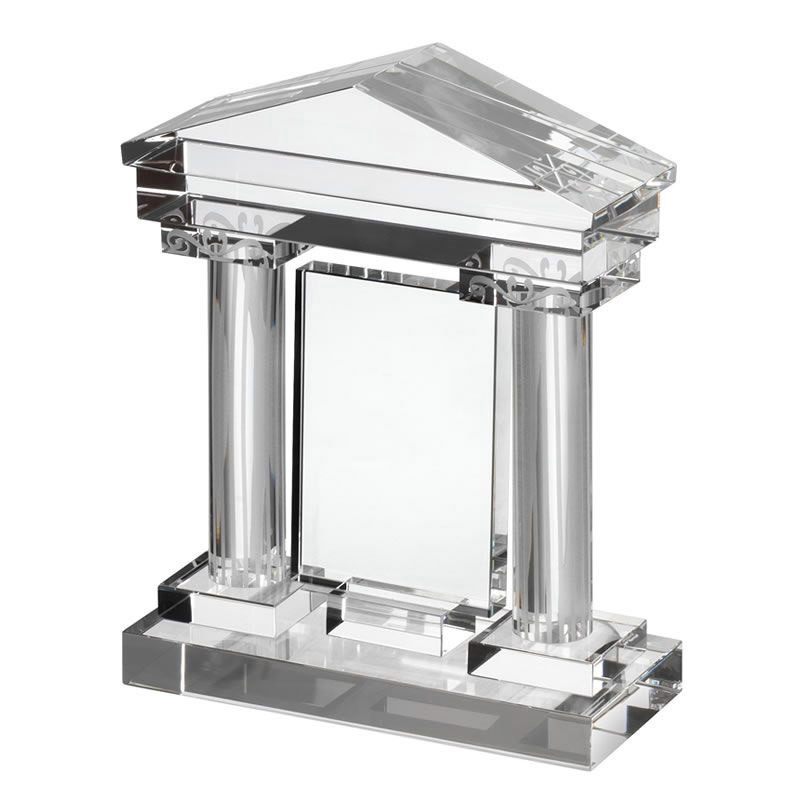 These distinctive trophies are designed in a Greek portico style with two pillars and a triangular roof enclosing a clear glass plaque. Standing 6.75in tall, these awards can be engraved on the flat plaque and they are supplied in an attractive presentation box.